And on the seventh day God ended His work and He rested. God rested. Yes, even God rested. On Sunday. How many of you are resting today though and how many are running errands, doing housework, and carting kids around? In today’s frazzled and hurried world, it’s no secret that we all probably need to rest more. But, how? That’s so me. I’m a sleeper. 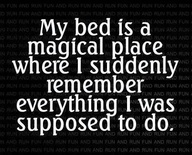 There are few places I look forward to going more than my bed at night. Problem is, once in said bed I do all the things you’re not supposed to: watch TV, check my phone, and get on my IPad. 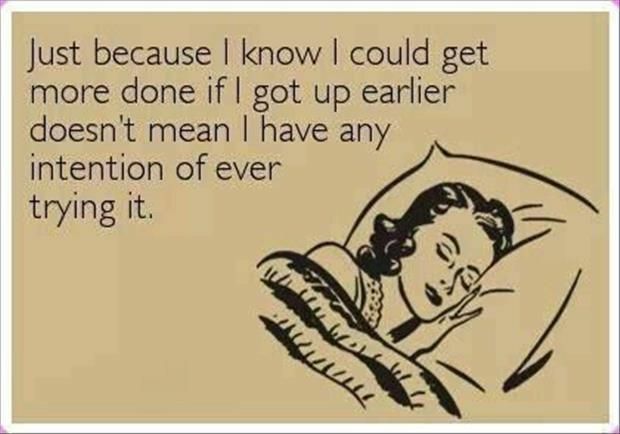 I’m also not a morning person so I’m often up late…sometimes til 1 a.m. This, I’ve learned is not healthy. Today’s Parade magazine verified this with a cover article on sleep and how important Huffington Post founder Arianna Huffington feels it is. Let me first start by saying I respect Huffington’s success and ambition even though I don’t always agree with her politics and find it frightening that so many, particularly Millenials, consider her on-line news site the bible of what to think and how to think. That being said, I do agree with how she feels about getting a good night’s rest. When asked what she considers her secret to success, Huffington simply said “sleep.” After once collapsing from exhaustion, Huffington vowed to give her body the rest it so obviously needs. “When I get enough sleep, I’m better at everything,” she told Parade. “I’m more creative and I’m less reactive.” So important does she think sleep is that she has book coming out next year on the very subject. “Early to bed and early to rise makes a man healthy, wealthy and wise” isn’t always the case. I found it interesting to learn that despite our morning-oriented society, those who love waking up early are in the minority and not always the smartest and best in their fields. 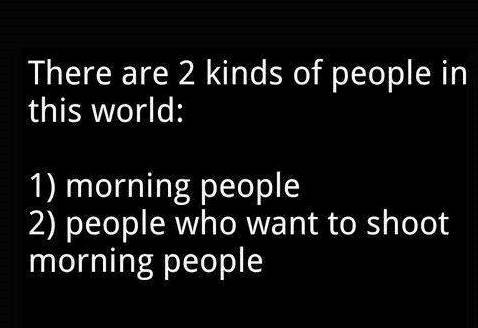 In addition, trying your hardest or being forced to rise and shine at the crack of dawn will never make a natural night owl a morning person. Hah! 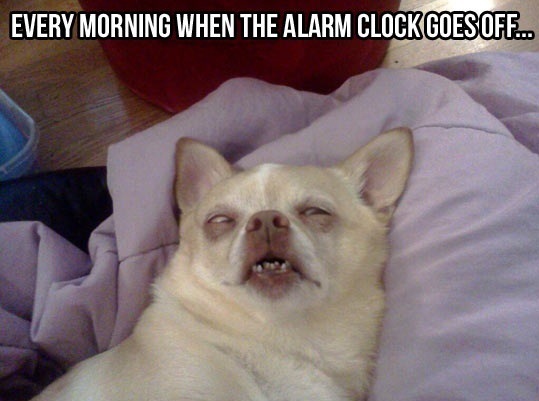 Take that morning people! As a night owl, I despise the notion that morning people are more productive and successful. There are countless professions that require night shifts, many of which society couldn’t live without such as doctors and nurses, police and fire fighters, and various service industry workers. I for one was one of them when I worked in TV news and my hours were 2-11 p.m. 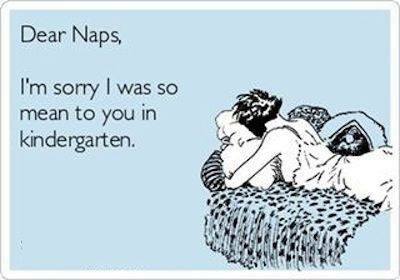 It was a schedule made in “sleep in” heaven for me! 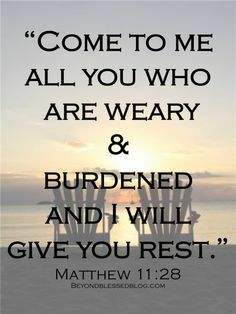 We all get weary and we all become burdened. These burdens often result in a lack of sleep but God tells us to trust Him. “Lie down in peace and sleep and know you are not alone. The Lord will keep you safe,” is what Psalm 4 reminds us. We need to say that and believe that. We might also want to count our blessings instead of sheep at night and talk to the Shepherd himself in prayer. I think God would be pleased with the current business trend of providing sleep rooms or pods for employees to nap in during the work day. Huffington, along with Google, Proctor & Gamble, Facebook, and even the University of Michigan are just a few of the businesses doing so. Amen to that! Experts agree. According to Parade research, there are definitive connections between sleep, heart disease, depression, weight gain, high blood pressure, diabetes, poor memory, and even shortened lifespans. I would add productivity and enthusisam to this list. Even the American Psychological Association reports that sleep is the single most important factor in predicting longevity. The single most important factor! Wow. Parade went even further by conducting its own survey of 15,000 people and discovered that an alarming 95 percent long for more sleep. That’s a lot of tired people! So, what can we do about it? Number one, stay away from sleep meds. According to the Centers for Disease Control and Prevention, somewhere between 50 and 70 million Americans suffer from sleep disorders and many take to using prescription medications to help them nightly nod off. Sadly, the National Institutes of Health report that sleeping pills add maybe 11 minutes of sleep time and often result in next-day drowsiness, which doesn’t make anyone more productive or motivated. Still, the number of prescriptions for sedative drugs has grown 30 times. An even more alarming statistic is from the Substance Abuse and Mental Health Services Administration, which reports the number of emergency room visits related to zolpidem, the active ingredient in many a sleep aid, has nearly doubled. 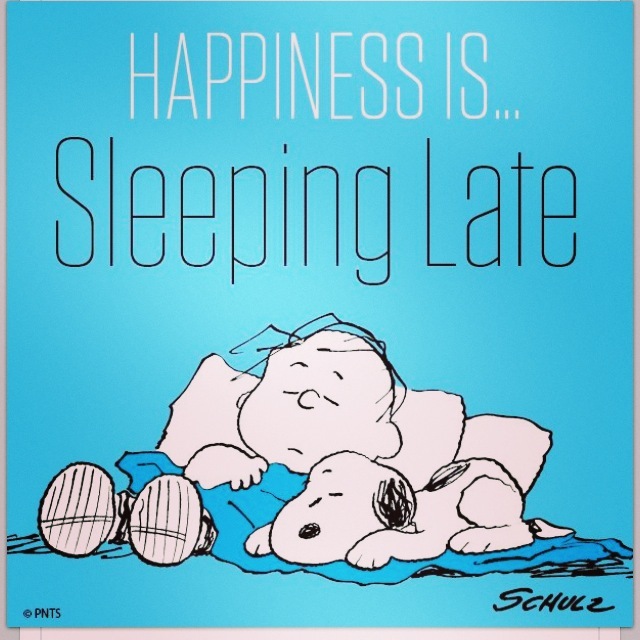 Go to sleep – not to bed, to sleep – no later than 11 p.m. Implement a “wind down” routine. This could be reading a book (not a digital one though), take a bath, or sip some herbal tea. Unplug. Computer light actually reduces the body’s production of melatonin, the hormone that naturally promotes sleep. Don’t have your phone, laptop, or tablet anywhere near your bed or bedroom. Charge them in another room and rely on an old-fashioned alarm clock to wake you up. I loved reading that Huffington often gives old school clocks as gifts! Don’t watch TV. This is a really tough one for me. I love watching TV in my bed at night. What I vow to try to do however, is not watch it into the wee hours of the night and refrain from watching anything stressful or suspenseful. Reruns of Friends or Parenthood? Yes. House of Cards on my Ipad or The Kelly File, no. Invest in quality bedding and pillows. A comfy bed often stimulates quality sleep. Soothe yourself to sleep with comforting music or white noise and if you are highly sensitive to light, block it with an eye mask as light also affects the levels of melatonin your body produces. Use essential oils. I swear by my Young Living ones, particularly Lavender, Sleep Essence, and Stress Away. Being the bed and sleep lover that I am, maybe I should move to the German town of Bad Kissingen which, according to an article in The Atlantic, is literally built on the idea that better sleep is better for everyone. “Bad” is German for “bath” or “spa” and medical tourism is its claim to fame thanks in part to Dutch Chronobiologist, Dr. Thomas Kantermann. Chrono what?! Kantermann studies chronobiology, the science of people’s circadian rhythms and sleep patterns. Where was that major when I was in college?! In short, a person’s sleep pattern is called a chronotype. Waking up with an alarm clock or staying out late every night messes with our chronotype and leads to all kinds of problems. We need sleep but we really don’t know why. Interestingly enough, we spend around 30 percent of our lives asleep. People used to sleep a lot more, but with the introduction of artificial light, things changed including work hours. In Bad Kissingen, Kantermann and his team are dedicated to applying chronobiology into all aspects of the town’s functionality, including employment, education, health care, and everything in between. It may be the first town devoted to the science of sleep, but it’s not the first to study and address the issue. In 1997 the Minneapolis Public School District voted to start school days more than an hour later than before and found that students were less tardy, depressed and sleepy. This may not be doable or advisable for all schools, but Kantermann says other chronotype-friendly adjustments are, such as issuing students tests in the afternoon when teens’ chronotypes peak, and having recess during the morning to allow more natural light exposure early in the school day. In addition, it’s recommended that schools and places of business have as much natural light as possible and a minimum amount of electrical or fluorescent lighting. But, we can’t change the world and we can’t always change the hours we are required to be at work or at school. 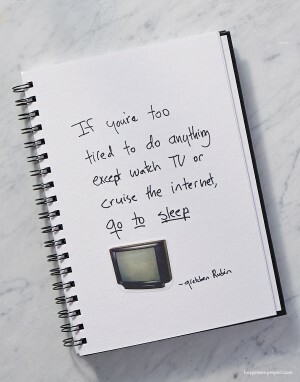 We can however, control our personal sleep habits and get the rest we not only crave, but need. Remember, if God took time to rest, we should too.